A family band of Czech musicologist and composer Doc. 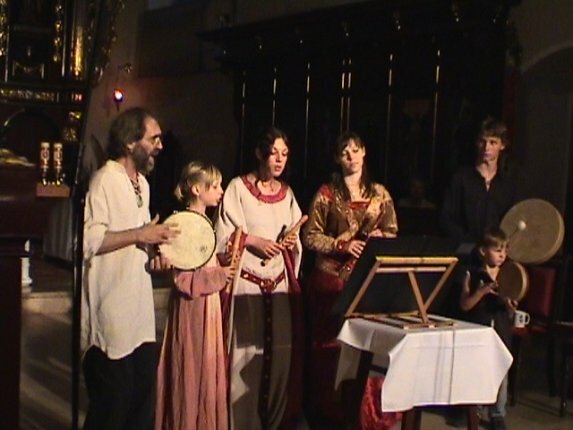 Dr. Vlastislav Matousek specializing in interpretation of medieval music. The dominant vocals are acompanied by contemporary instrumental play using copies or reconstrued medieval instruments. The core of the repertoar are anonymous, polyphonic compositions from Czech sources with focus on Codex Specialnik and Codex Franus. From the known authors the most often played author is Petrus Wilhelmi de Grudencz (ca 1400-14800).